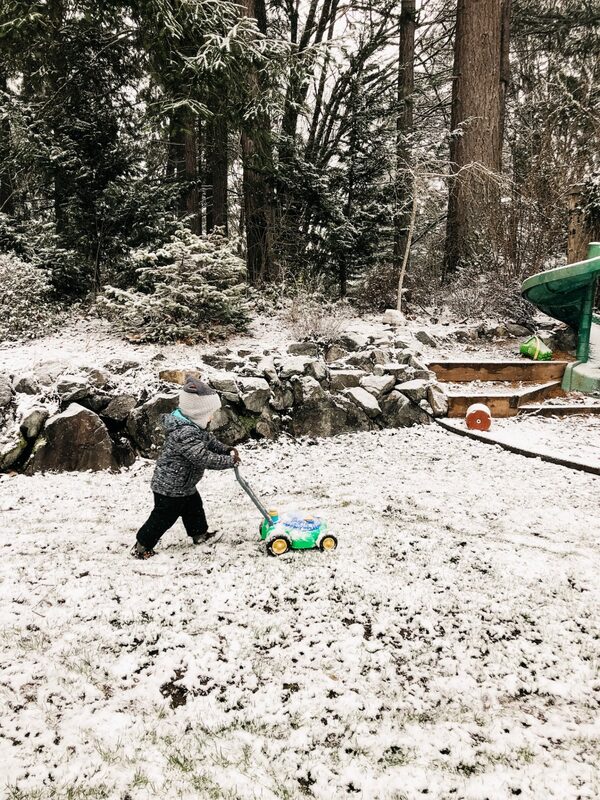 I can now officially say that we’ve experienced our first western Washington state snowfall. It was underwhelming…and awesome. After a pretty rough weekend in which I had to learn to keep my expectations in check, the last thing I thought I wanted on Monday was a snow day. I’ve been fighting the plague for a while now, and I really wanted to work from my couch with peace and quiet. The deployment gods, or Murphy, or heck…even the good Lord himself, however, had other plans, and we received a snow day for a grand total of one inch of glorious white fluff. My little boys were in heaven. 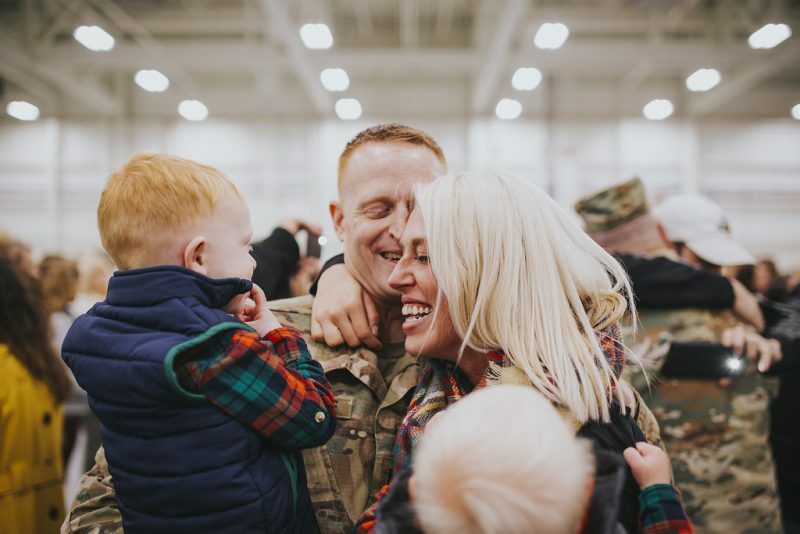 I can’t tell you how much they remember about the snow at Fort Drum, though I have to think Spencer can remember at least a little bit, but this was much-needed. I thought I needed a day of “me” time. What I really needed was a slow day of work, a day for my boys to sleep in, wake up, and see the snow. 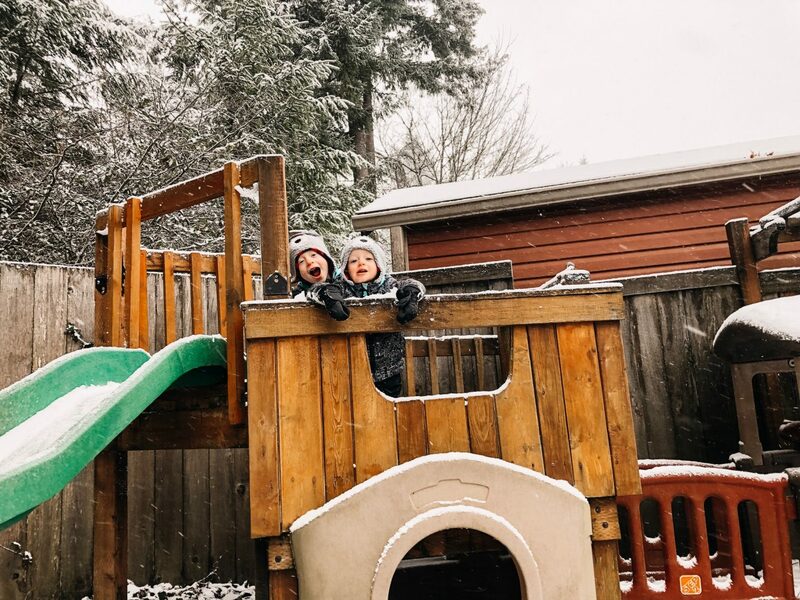 They were in heaven, and I have to admit; so was I.
It’s funny how a little thing like a snow day can make you take a step back and enjoy the little things. While there may not have been much snow, my busy boys made the best of it. 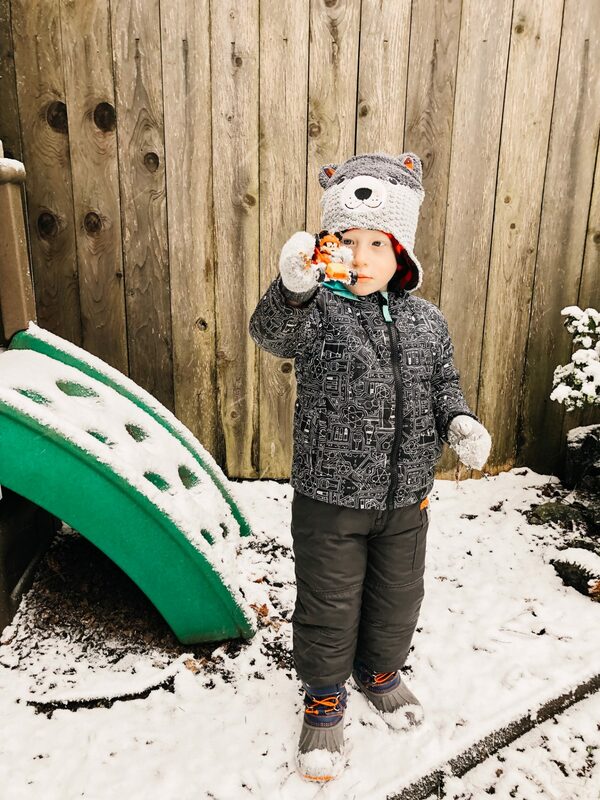 We pulled out their far-too-small snow bibs because we left the good ones at Oma and Opas, and we went out to enjoy fresh flakes. 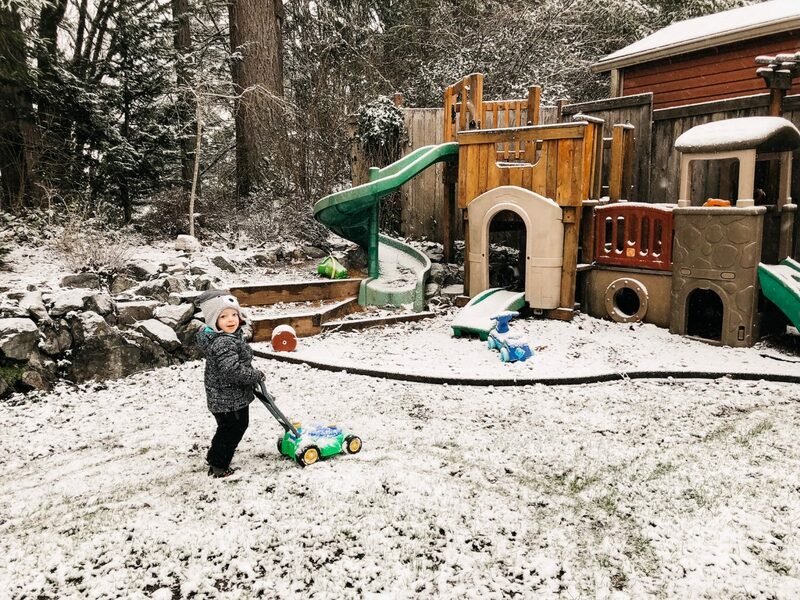 They threw icy pine cones for Danny, they “swept” the deck, they mowed the lawn, and they took turns going down their little slide. It was a simple snow day. And it was heaven. Even better, we got to see how Washington deals with snow. Spoiler alert: they don’t. We had to laugh at the complete 180 from Fort Drum to here, and that was a good start to the day. So, while I discovered yesterday that this lingering cold-turned-bronchitis is actually pneumonia, I’m grateful for these little boys keeping me busy and moving through little impromptu things like these. It’s exhausting, but they remind me that little things like freshly fallen snow make all the difference. And heck, it looks like this is what we’re going to have to hold onto for the next 2-3 years, so I guess we’d better make the best of it!